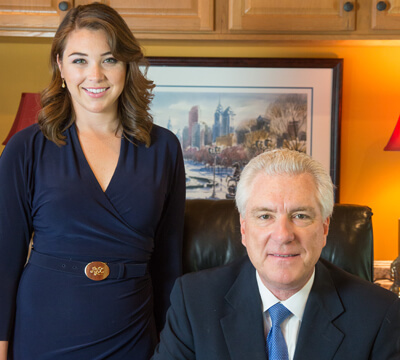 Philadelphia Premises Liability Lawyers John and Laura Fox understand how premises liability cases are defended. 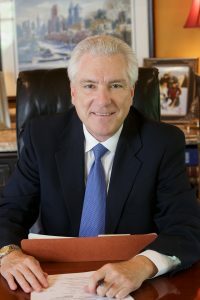 Formerly retained as a defense attorney for a fortune 500 company based in Philadelphia, John Fox has defended many premises liability case in Philadelphia. 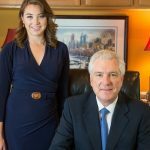 Because of his broad background and experience as a defense attorney, John Fox knows how insurance companies defend premises liability cases, and he knows how to win them. This is a distinct advantage for our clients. Premises Liability is where a property owner or landlord fails to maintain their property and is held responsible for injuries sustained as a result of their negligence. Premises liability injuries usually lead to extended hospital stays and therapy appointments. Premises liability cases require that the owner or landlord knew or should have known of the defective or hazardous condition. This is the true test of a premises liability case. The owner or landlord’s duty of care also varies depending on whether the injured person is a business invitee, a licensee, or a trespasser. A business invitee is required to inspect and correct dangerous conditions, whereas as a licensee or guest, the owner or landlord has a duty to correct or to warn, but does not have a duty to inspect. The duty to a trespasser is limited to intentional or reckless injury, with some exceptions, such as an attractive nuisance in the case of a child trespasser. For example, a child attracted to a swimming pool or a known sledding area on a golf course might fall into a higher duty of care than a trespasser. It is important to secure evidence and surveillance videos immediately following a premises liability accident. Pennsylvania is a Comparative Negligence jurisdiction and follows the modified comparative negligence 51% rule. This means that Pennsylvania is a plaintiff-friendly state. In Pennsylvania, a plaintiff can be up to 50% responsible for their injury and still collect damages in a premises liability claim. If a plaintiff is determined to be more than 50% responsible for their injury, they are not able to recover damages for their injury. In the case of comparative negligence, the award is reduced by the percentage that the defendant is found negligent. For example, if the defendant is found to be 60% negligent and the plaintiff is 40% negligent and the award is $100,000, the award will be reduced to $60,000. Fox Law Philadelphia Premises Liability Lawyers welcome you to contact us for a prompt and free consultation regarding your premises liability case.